5.Integrated design with the power supply and receiving card. 3.Energy conserving and environmentally friendly. 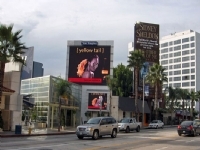 Outdoor Full color LED Display ScreenDIP led displays is the tradition led display in the world, it not can used in the outdoor led display ,but also the indoor led displays, even can use in the semi-outdoor led displays. And the color of it can be full color, single color and double color. 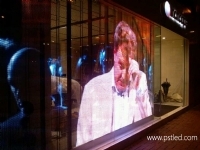 It is the most popular led display in the market. 1.Precise structure of the independent design of cabinet, to ensure strict IP65 waterproof rating, ensuring cabinet light is easy to install. 2.High uniformity masks a perfect fit module and mask ink evenly, without shadows; the products all use ultraviolet aging, which can resistance to the instantaneous pressure slap Pa 20000. 3.Installation is simple for our customers in accordance with the needs of design and installation, a client after receiving the Screen, with our attached accessories in 2 hours can easily control the realization of installation and commissioning, to maximize the customer to reduce the workload. 4.We can also provide customers with a set of fiber-optic communications program and a remote control program, so no matter where in your screen, can easily manage and control, and also supports asynchronous memory control technology. 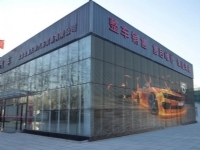 PH10mm outdoor full color advertising LED display screen adopts physical and virtual pixel technology which makes the picture more clear and vivid, no flicker and blind dots. The PH10mm outdoor full color advertising LED display screen is manufactured in a waterproof and dustproof design so it can work very well under rain and sunshine. 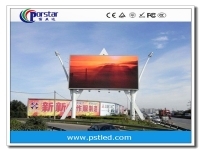 It can be assembled, disassembled and reparied very easy, it is an ideal product for any kind advertisements. Wide application field: advertising LED display, stadium perimeter LED display, mobile led display for mobile media, shopping mall LED display for logo showing, bank & stock exchange LED display for rates showing, train & bus station, airport, telecommunication LED screen system for information showing and instruction, stage performances and so on.